We all know that there is no better way to exercise than to ride a bike. If you prefer to stay healthy all the time, then it would be great for you to purchase a folding bicycle. It’s fair to say that bicycle is one of the easiest ways to live a healthy lifestyle. And of course, you must be very selective when it comes to picking a folding bicycle. It’s incredibly important for you to explore all of options carefully in order to be able to make the best possible choice. The big question is – what is an ideal bicycle for a healthy lifestyle enthusiast who prefers to ride on a daily basis? 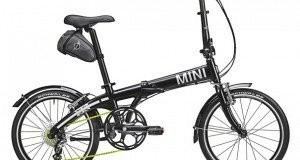 Let’s take a closer look at the Durban Metro folding bike and try to figure out whether this bicycle is worth buying or not. 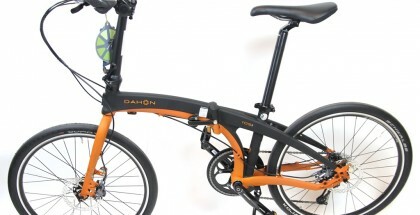 What Can You Expect from Durban Metro Folding Bike? You need to know that that the Durban Metro folding bike has a lot of great benefits for riders. Keep in mind that Durban Metro is a versatile folding bike that’s suitable for cyclists of all experience levels. With a folding bicycle like Durban Metro you’ll find it easy to travel around the town and reach the necessary destinations quickly. 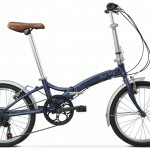 Durban Metro folding bike comes with an alloy frame. 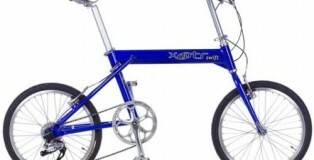 It’s worth noting that Durban Metro folding bicycle’s frame is made of lightweight material. That’s the reason why the bike is not heavy. So, it wouldn’t be difficult for you to carry Durban Metro folding bicycle if such a need arises. The Durban Metro is a snappy looking bike. It nods to the stylized commuter bikes but on larger 20″ wheels. This 6 speed bike is great for kicking it around town and looking hip while you do it. Another important thing that you need to be aware of is that Durban Metro folding bike makes a difference as a bicycle with a beautiful design. It’s clear that the bike is designed in style. 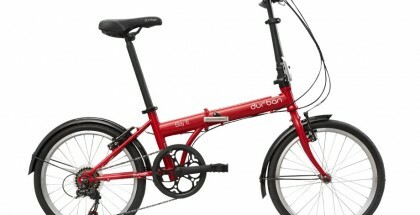 That means that Durban Metro would be a good option for everyone who is looking for a perfectly designed folding bike. 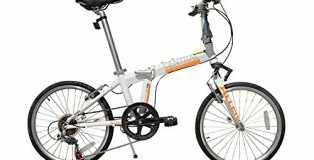 There is no doubt that you’ll like Durban Metro folding bike’s design. Bear in mind that the process of folding and unfolding Durban Metro bike is simple. On the other hand, the bike’s folding/unfolding process doesn’t take too much time. The reality is you’ll be able to fold (or unfold) the bicycle within 15 seconds. It’s pretty clear that Durban is committed to keeping a rider safe. 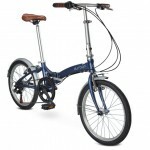 Durban Metro folding bike comes with alloy V-brakes and alloy brake levers. 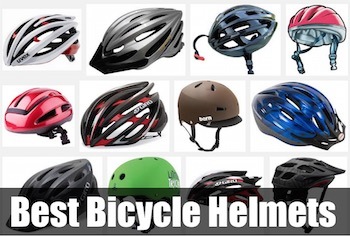 So, you’ll be able to stop the bicycle fast and easy anytime. If you choose to purchase Durban Metro model, then you’ll get a fully assembled bike. Nevertheless, you’ll have to make final adjustments to the bicycle. After that, you’ll be able to start riding the bicycle. The Durban Metro has a great look. It is really aesthetically pleasing and has the ability to attract attention – be prepared to get noticed. First impressions aside, the Metro is very similar to the Durban Bay 6 we already reviewed. 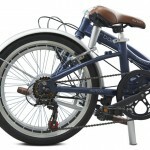 It is a 6 speed bike with the same Shimano shifter and derailleur and 20″ wheels. It even comes equipped with the same B-Type latch which is difficult to clasp. The biggest difference is in the frame. The Durban Metro traded out the steel frame for a lighter 6061 Alloy Frame. Weighing 3 pounds lighter than the Bay 6, the Metro is still, unfortunately, on the heavy end of commuter bikes. While both bikes are equal in quality and capability. The Metro is definitely the better looking and lighter bike out of the two. 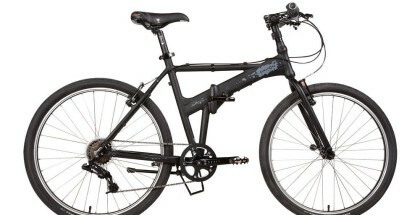 I recommend this bike to casual riders with a space issue rather than a full time commuter. There are lighter, easier bikes that fold better and can make commuting a breeze. This bike isn’t one of them. 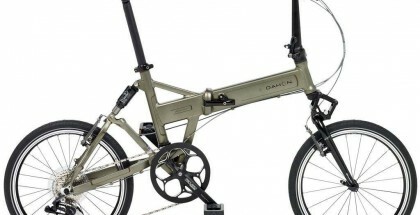 We’ve just told you everything you need to know about Durban Metro folding bike. 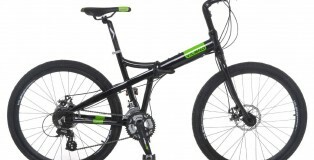 The review briefly describes the bicycle’s key features and outlines its pros and cons. 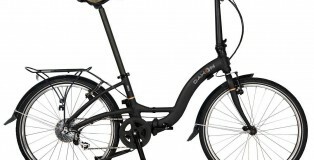 Additionally, we’ve provided you with some insights into Durban Metro folding bike’s performance. Finally, you’ll know what to expect from the bicycle. 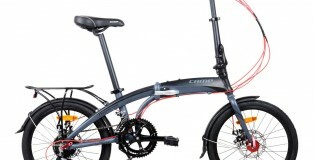 Clearly, the bike impresses cyclists with its beautiful design and great features. If you pay a close attention to Durban Metro, then you’ll be able to see that the bike has a lot to offer to riders. There is no doubt that Durban Metro is a great folding bike for traveling around the town.